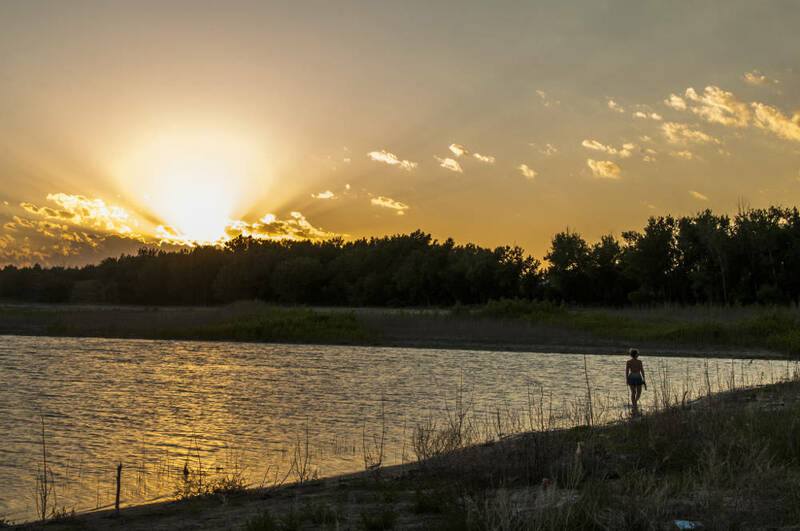 Lake McConaughy is on the “Top 100 Family Places to Fish and Boat in the U.S.” “Big Mac” has the best in boating and fishing and all manner of outdoor recreation for all seasons. For those who want to stay on shore, there are beautiful white sand beaches. The fishing is exceptional. The clear, deep waters are filled with everything from rainbow trout to catfish and many of the fish are trophy size. The current Nebraska state record walleye, 16+ pounds, was caught in Big Mac. But it’s not just for anglers. It’s for the sailboaters, wind surfers, water skiers and scuba divers also. Fall is hunting time. Canadian geese love the west end of the lake! Winter brings the ice boaters, skaters and backpackers.